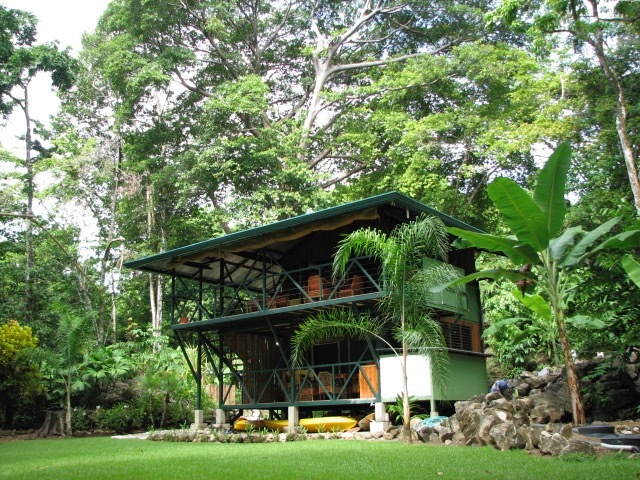 Set on the southern tip of the Osa Peninsula, Tucan Terra is one of Costa Rica's best kept secrets. Set along 300 feet of private beachfront, Tucan Terra shares this secluded shoreline with only two other neighbors. Rock formations on each side of the beach make this Matapalo’s only private palisade beach. 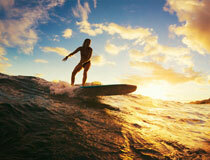 Tucan Terra is centrally located on three of Cabo Matapalo’s surf breaks. You can paddle right out from the front yard to Backwash, or walk 5 minutes in either direction to Pan Dulce or Matapalo Beach. Tucan Terra is a 2-story duplex house with two units – each unti offers 2 bedrooms with fans, mosquito nets, a fully equipped kitchen, hot water showers and open-air living area with hammocks. Surrounded by jungle, Tucan Terra puts you in the perfect position to observe wildlife from your deck, including daily arrivals of four species of monkeys, toucans, scarlet macas , parrots and dozens of species of birds. Tucan Terra was recommended by a friend and staying there was absolutely wonderful! The views, the food, beaches, the park like grounds and cabinas were perfect. Truly a piece of paradise! Van is the greatest of host and cooks a fantastic multi course meal (upon request). There are also surfboards and boogie boards that we were able to use. One of the best things about this place is the price. So reasonable for such an ideal vacation. We will continue to return as often as possible! We stayed at Tucan Terra for 5 nights in the two storied house run by a wonderful host – Van. It was an incredible experience that I will never forget. The house sits in a beautiful setting surrounded by well kept Gardens that have many exotic, colourful birds flying around in them. It’s surrounded by tall trees and the resident families of monkeys will keep you captivated for hours. The accommodation is pretty basic/rustic but it has everything you need – and is amazing considering it is all run using solar power. 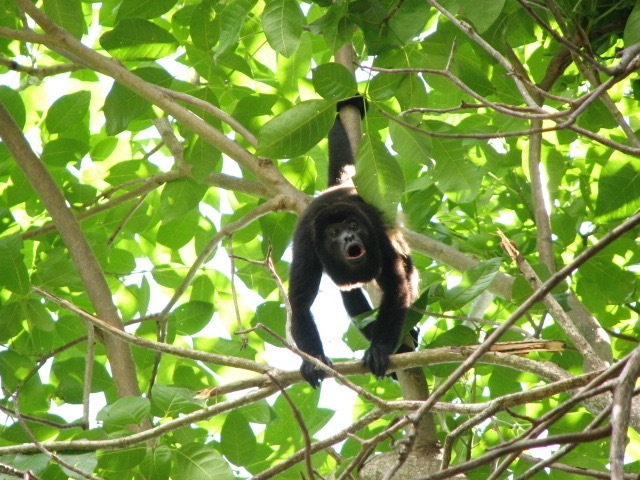 To lie in bed in the morning and hear the howler monkeys calling out – is something else. We were lucky to see several incredible nights where a huge red moon came up over the horizon – was a spectacular site. I loved it. 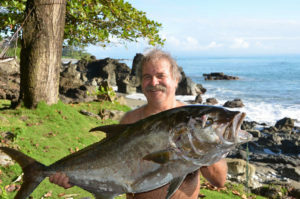 Van Trutanich discovered Costa Rica as a teenager back in 1972 while commercial tuna fishing the Pacific coast from California to Chile . 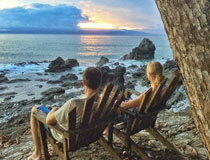 His dream was to return and settle in Costa Rica as he did in 1994 and found Cabo Matapalo to be his dream come true. Sharing his dreams for years with old and new friends he decided to share his little paradise to all. His philosophy of making travelers feel like they are visiting a friend rather than just being another tourist , along with the experience of being a restaurant owner has captured the ideal vacationers’ stopover .